It's pie season again! Sadly, I am a bit under the weather, so my usual plethora of pies won't be happening this year - so I decided I would make up in quantity what I can't do in variety. Tassies (possibly an Anglicization of the French word for cup, "tasse") are little one-bite pies, and I adapted this recipe for a MUCH healthier pecan version that uses dates to create the custardy filling instead of eggs and Karo syrup (mmm, corn...syrup...) Fortunately, these taste just as rich as their lifesize counterpart. Makes 24 tassies or 12 servings. 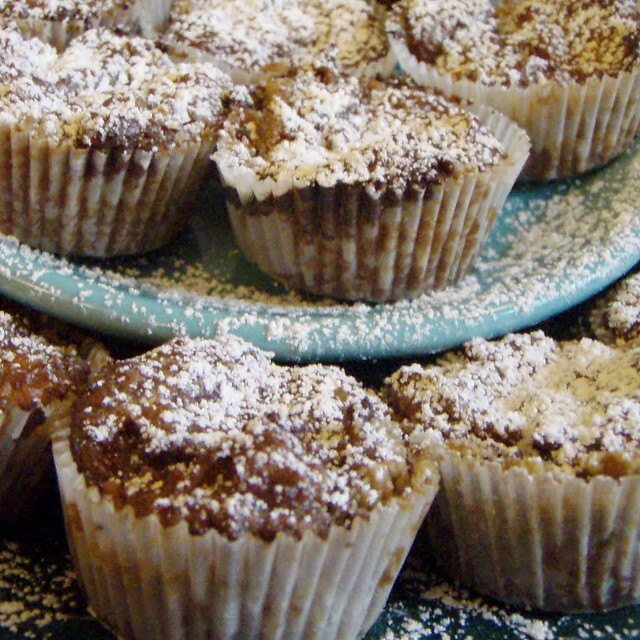 I used the chopper on my hand blender for this whole recipe, but you can do it in a blender or food processor - just make sure that the hot liquids cool before you add them to your bowl. First, grind the oatmeal into a powder, then add then next 4 ingredients and grind until they start to clump up into a ball. Scrape down the sides and grind again; it will be lumpy but try to get it as smooth as possible. 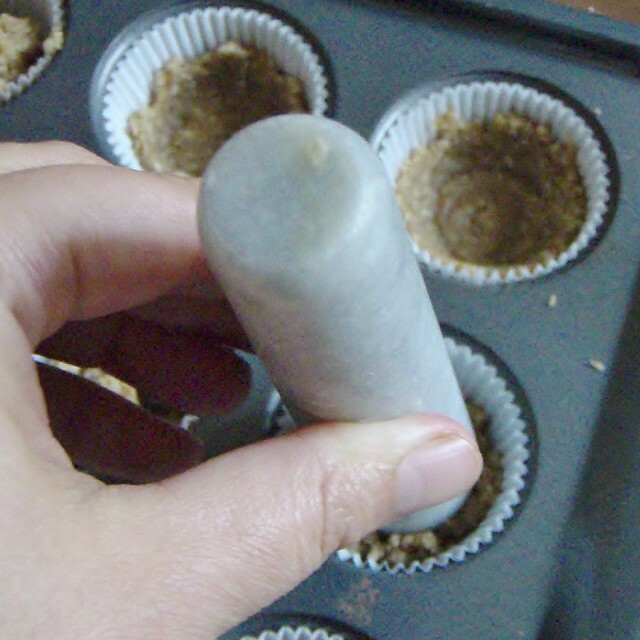 Divide this evenly into your lined muffin tin, using a small round object (I used the pestle of my mortar and pestle) to tamp it down and slightly up the sides of the tin. 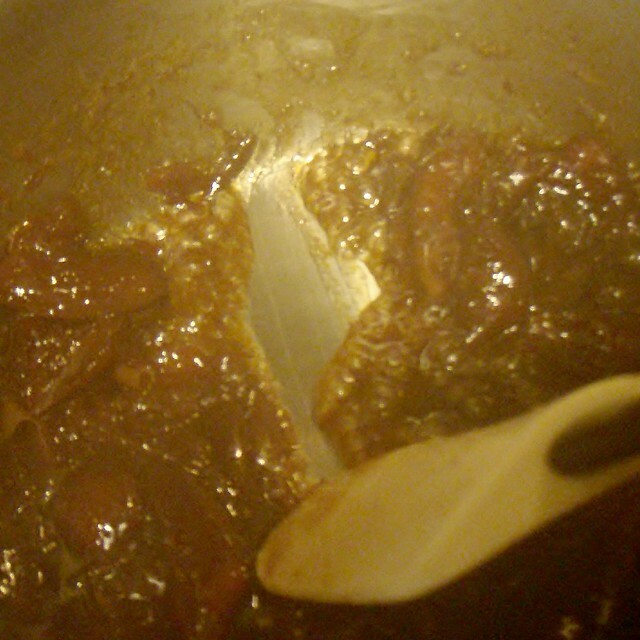 Put the dates, bourbon, water, sugar and butter in a saucepan and cook on medium heat, stirring and mashing the dates with a heatproof spatula until the liquid is mostly evaporated and you leave a "trail" when you drag a spatula across the bottom. Allow this mixture to cool slightly. 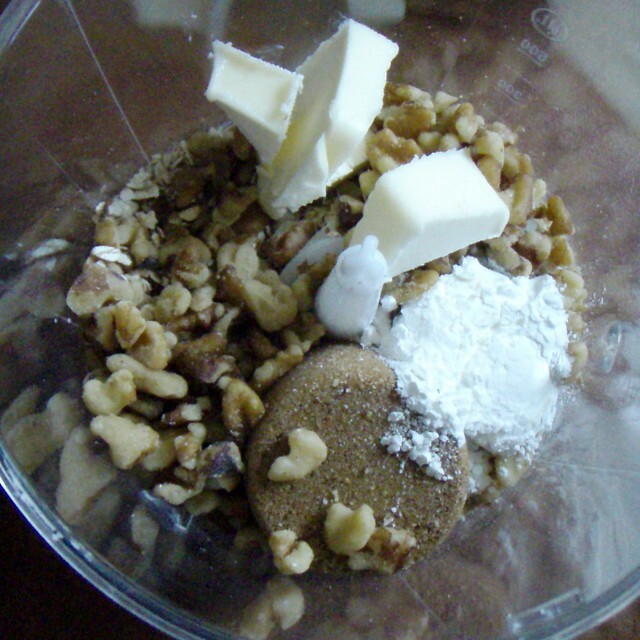 Pour the date mixture into the food processor and blend until you have a smooth dark paste. Add the cream cheese and vanilla extract and blend until it's all one color. Remove the blade or pour your mixture out into a bowl and fold in your pecans. Scoop into your prepared crusts, about a teaspoon of filling (make sure every scoop has nuts in it!) per tassie. Bake at 375 for 15 minutes, or until golden brown. 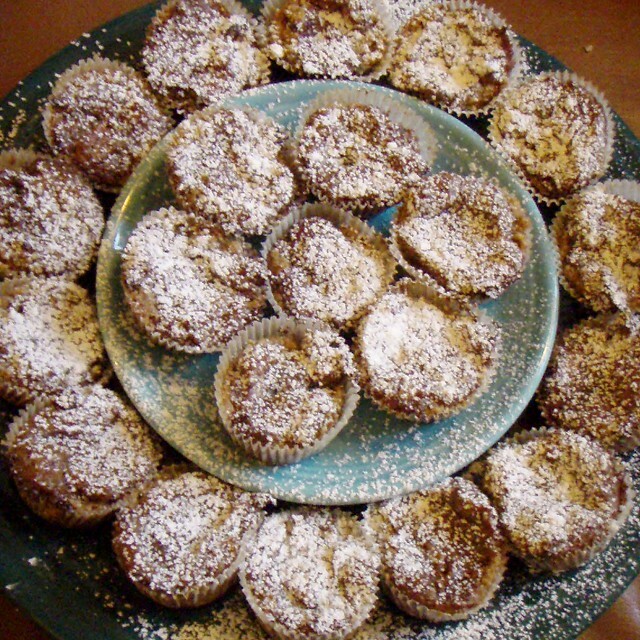 Allow to cool, and then sprinkle with confectioner's sugar.